Ents have often been overlooked. Their concern is with trees, and as the forests of the world have shrunk it is easy for the world at large to forget about them. In Lord of the Rings Treebeard tells Merry and Pippin about Ents going “tree-ish”, and it seems likely that this would be the fate of all Ents as Middle Earth rolled on into its Fourth Age and beyond. This bittersweet theme of endings is not unique to Ents in Lord of the Rings. We enter Middle Earth at a precarious time, where things will change drastically, for good or ill. Sauron’s strength is growing, the elves are passing westward, and the Dúnedain will walk uncloaked in the south once more. Yet to me the swan-song of the Ents resounds louder and lingers longer. Their longevity, their consideration, their care and patience is worn away by the world. Are there any among us who haven’t stood on the brink of loneliness and watched the world rush past? Imagine that moment of clarity, of melancholy, that thought of “no-one cares” stretched out into years upon years. This is the sorrow of the Ents. 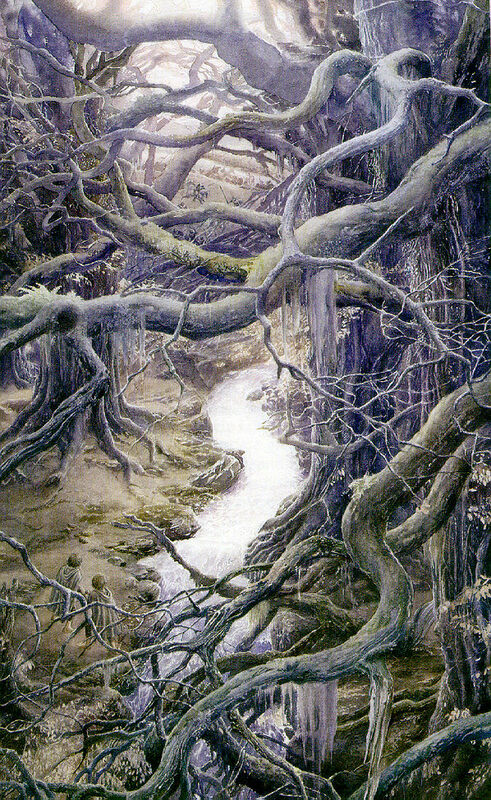 Tolkien was very aware of the spread of urbanisation in his day, and its cost to both the natural world without, and the natural harmony within – our “inner Ent”, if you will. And we are still besieged – our westernised needs and wants consume with such a hunger and barely a thought. And there is no guardian, no shepherd left to stop us. Only we can stop. We can stop, and consider. What is it you love? What would you fight to protect? What story are you telling to the world? The Ents are dead. Long live the Ents. Tolkien, JRR; The Lord of the Rings: The Two Towers; HarperCollins Publishers; London; 2001. Today is Father’s Day here in Australia. The Lord of the Rings is one of the few enjoyments that I share in common with my own father; a fact that makes it all the more personal and precious to me. Fathers in Lord of the Rings are few and far between. Many of the characters’ fathers are deceased, and those that remain tend to not be featured very heavily – except for Denethor, and we all know how well that turns out. 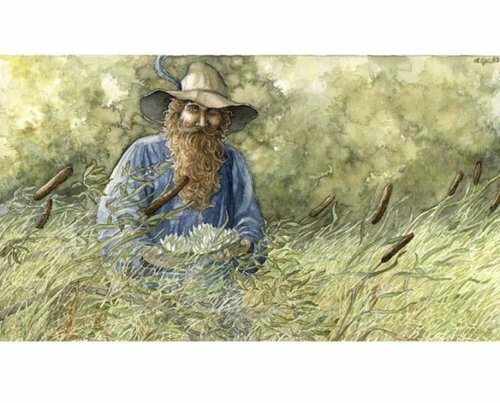 Bilbo and Gandalf make wonderful father figures in their own ways, but to me it is old Hamfast (“the Gaffer”) Gamgee who takes the prize for the best father in Lord of the Rings with his rough-hewn affection and rustic wisdom. One day I would like to tell my father how grateful I am – how his willingness to dress as a Nazgul, simply because I had asked it, represents a world of love to me. I would like to tell him how treasured this memory is, and how even thinking about it makes me well up with pride. And you know what? I guess now I have. It took me a long time to appreciate and understand the men of Middle Earth. Of more appeal to me was the otherworldliness of Legolas – a fine-boned creature of grace and time, whose memories and awareness stretched far beyond the reach of any man’s. Perhaps this is because I was so disenchanted with our own mortal race, here in the “real world”. I thought Denethor a mad old fool, Faramir as angst-ridden as he was noble, and Aragorn even more so. Boromir I despised, both for his pride and his weak-will in regards to the One Ring. I did not realise the gravitas of Boromir until I read his story written by a talented roleplayer (whose name I wish I remembered, and whose story I wish I’d bookmarked). I think the reason this writer succeeded in “selling” me on Boromir where Tolkien had not, was because their words were wholly devoted to his character. (A canon-based fanwriter need not concern themselves with plot, nor multiple viewpoints). This writer had taken the seeds of Tolkien, and given them what I had not – time. sudden war came upon us out of Mordor, and we were swept away. …Only a remnant of our eastern force came back, destroying the last bridge that still stood amid the ruins of Osgiliath. Boromir’s tale echoes with images of bloodiness and despair, yet I had glanced over it several times. It is pieces like this – whole stories and histories hidden in a few sparse sentences, that make Lord of the Rings a delight to re-read. I am grateful to that roleplayer, not only for introducing me to the character of Boromir in a new and wonderful way, but also for teaching me a valuable lesson about how to read Lord of the Rings – savour it. Give it time. Let the seeds take root and grow. I now know the men of Middle Earth to be mighty. They are builders, they are hunters, and they are warriors. They are not infallible. But their strength and their courage, especially in light of their mortality, is inspiring. Through that roleplayer’s story of Boromir, I now know the true weight of the expectations placed on his shoulders by his father; and that his pride was for his people, for his hope for their future in the face of almost-certain doom. Through that roleplayer’s story, I finally understood the tragedy of Boromir, and I wept. Tolkien, JRR; The Lord of the Rings: The Fellowship of the Ring; HarperCollins Publishers; London; 2001; p 192-193. Tolkien, JRR; The Lord of the Rings: The Fellowship of the Ring; HarperCollins Publishers; London; 2001; p 321-322. It’s difficult to be blasé about The Lord of the Rings. One of the book’s most appealing features is its ability to inspire. Every person I’ve met (to date) that has read Lord of the Rings – in its entirety – has been enthusiastic about it. There are so many great stories of Lord of the Rings being passed down through the family. The first copy that I read was my father’s old paperback – a squat and hefty tome containing all three parts, it was rather the worse for wear after I’d carted it about (to maximise reading opportunities, naturally). There are so many great stories of Lord of the Rings providing solace through familiarity in new towns, and new schools. The Lord of the Rings binds us (in a non-Sauronesque way), both to the book and to other readers. We’ve all been on this epic, thousand-plus page journey together. In a rather beautiful parallel, Lord of the Rings literally builds a fellowship amongst its readers. Its always such a buzz for me when I stumble across a fellow Tolkien enthusiast, or fall into a Lord of the Rings conversation. I’m currently very fortunate to have a few Lord of the Rings compatriots amongst my close acquaintances, but it hasn’t always been this way. When I first immersed myself in the world of Tolkien, not one person from my circle of high-school friends had read Lord of the Rings. I believe they thought me whimsical when I started scrawling excerpts of songs and poetry from the book on scraps of paper and spare polystyrene cups. I’m sure they thought me odd when my school diary shed its pictures of Freddie Prinze Jr. in favour of pictures of small, rotund men with hairy feet. Fortunately for me this was the age of the internet, and I found many like-minded companions on various Tolkien oriented boards and forums. The people in these places were similarly impassioned with Lord of the Rings fever, and were unfailingly kind and generous in nature. I have listened to their stories, and they have listened to mine, with a sympathetic ear, and a knowing nod of the head. Of these numerous online encounters, I have met several in the flesh, and let me tell you – if we are descended from the Kings and Queens of Númenor, they would be proud. Of course, not everyone finds such appeal and attraction in Lord of the Rings. Many a time I’ve had people confide in me that they couldn’t finish it – the pace was too slow, the poetry too abundant, Bombadil too absurd. Yet for those of us who enjoy another night unwinding in Middle Earth, another tale of yester-years woven into rhyme, who may even secretly delight in the occasional “ring a dong dillo”, there is a whole world of camaraderie and geeky conversations out there. So… won’t you tell me your Lord of the Rings story?